Adsorption is a common method for treating pollutants. High-concentration chemical reagents are always involved in the traditional desorption process, which leads to chemical waste and secondary environmental pollution. 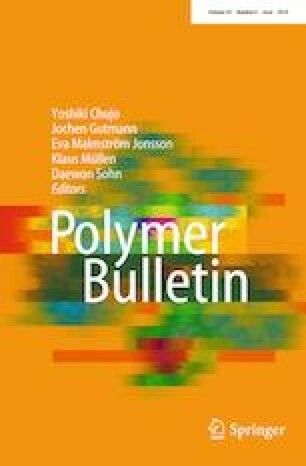 To alleviate this problem, polypyrrole (PPy), combined with two inexpensive and renewable biomass compounds, gelatin (Gel) and chitosan (CS), was used to fabricate a novel photoelectric-sensitive Cr(VI) ion-imprinting composite, namely, Gel/CS/PPy. 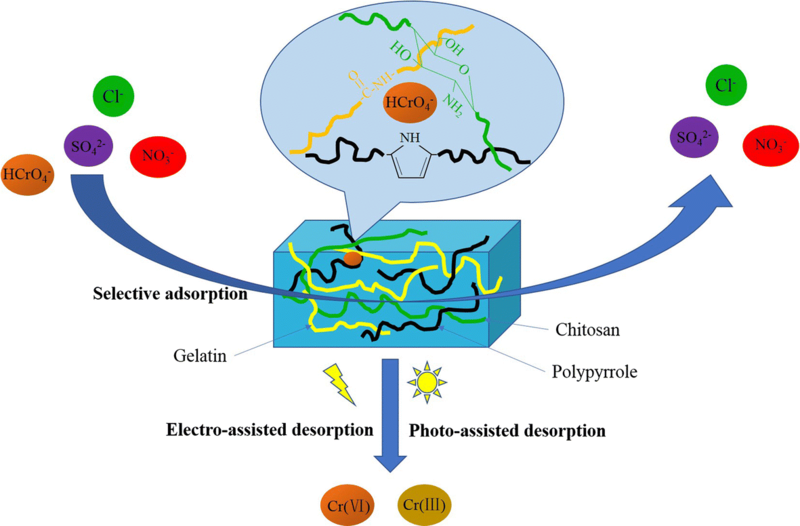 Except for the higher selectivity to Cr(VI), the photoelectric property of PPy enables Gel/CS/PPy to be regenerated with the aid of light and electricity. The result shows that electro-assistant can improve the desorption efficiency by 140%, while photo-assistant can improve the desorption efficiency by 19.8%. As a result, the desorption process will greatly reduce the dependence on chemical reagents and the secondary pollution to the environment. This work was financially supported by Natural Science Foundation of China (No. 51678059), Open Project of Key Laboratory of Degraded and Unused Land Consolidation Engineering, the Ministry of Land and Resources (No. SXDJ2017-1), and Fundamental Research Funds for the Central Universities (Nos. 300102298202 and 310829161015).